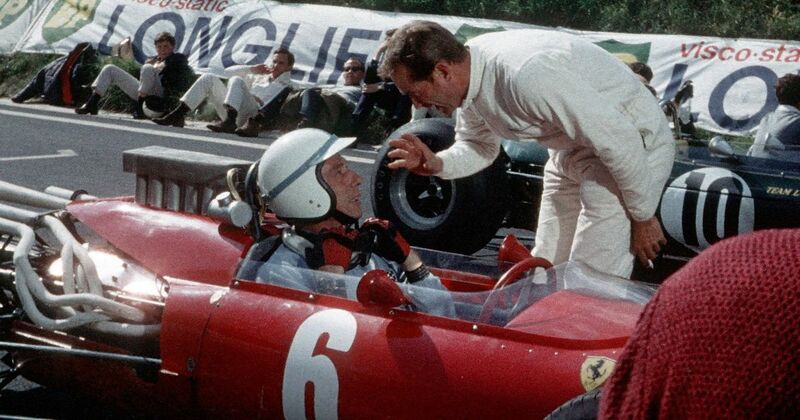 John Frankenheimer’s film ‘Grand Prix’ was released on this day in 1966 and if you haven’t seen it, you really should. The story is a bit naff, sure, and most of the cars used were just re-bodied Formula 3 cars. And yet, despite its age, it still has probably some of the finest racing scenes of any film. Much of the footage was captured during actual F1 weekends and features many of the drivers of the day with the likes of Graham Hill, Jim Clark and Jack Brabham all appearing in the film. Perhaps coolest of all is the sequence filmed at Monza, utilising the full banking (in reality the last F1 race to use the banking was in 1961). With the film employing some pioneering onboard camera techniques, the end result is several minutes of superb footage that still holds up today. The film won three Oscars for Best Sound, Best Sound Effects, and Best Film Editing. With a three-hour runtime it ain’t short, but it’s a great way to have look at one of the sport’s most iconic eras. Seriously, go watch it. Gunther Bechem (born 1921) raced in the German GP twice, in 1952 and 1953, but failed to finish on either occasion. Lorenzo Bandini (born 1935) raced in F1 between 1961 and 1967, mostly with Ferrari, and was rather successful. He won the 1964 Austrian GP and scored seven other podiums (as well as managing wins at Le Mans and the Targa Florio) but was killed in an accident at Monaco in 1967.